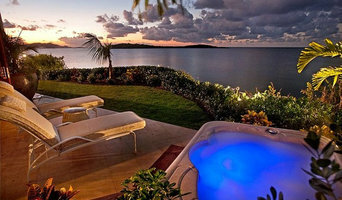 We are first and foremost a Hot Tub Service provider and retail provider of spas and swim spas is our secondary focus. Because of this and our low overhead business model we have very low margins on our hot tubs which gives you, the consumer fantastic value for your money! Make sure to read our buying guide to become an informed consumer. Our experienced staff and specialized equipment will ensure a safe and smooth hot tub move and installation. 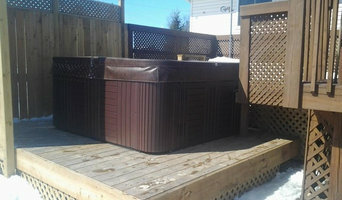 HotTubGuys is an Ottawa based full service Hot Tub installation company. We handle every step of getting your hot tub setup! Some of the services that we provide are building your hot tub base, moving your hot tub from one location to the next, and hookup the electrical. Need a new deck, or your deck modified to fit your hot tub? We do that too. We test your hot tub to ensure everything is working, and we can educate you on operating your tub and balancing the water. There is no longer a need to call a moving company, electrician, carpenter, and a landscaper to get your hot tub installed. Call the HotTubGuys! Sani-Sol is a Premium local Pool & Spa retailer serving the Ottawa area since 2000. We carry premium Marquis Spas, Celebrity Hot Tubs and portable Roto Spas. We are also a platinum BioGuard dealer specializing in water chemistry and problem resolution. We carry a wide range of products to serve your pool and hot tub needs and provide repair and maintenance services. We are your "Water Care Experts" so you don't have to be. Owning a SunClass spa is the beginning of a rich life filled with the entertainment, relaxation and comforting therapy a Quality spa provides. SunClass investment quality spas are engineered for strength, durability, and long-term reliability. Please take a moment to watch this video about our hot tubs to understand more about the high quality of our hot tub products, brand and services! Our attractive, durable, and low maintenance acrylic surface is supported by a high strength multiple layer fiberglass substrate, which is hand rolled using our proprietary materials and application methods. The acrylic shell is available in a number of colors and textures. Our quality dependable Digital Spa Control System, Pumps, and Mechanical Systems are all available from Canadian manufacturers within a short distance of our facility. This allows us to maintain a high level of Canadian content in our spas, in turn reducing the overall cost to the consumer. Using high quality Canadian parts also allows us to service our customers faster and with a much higher level of efficiency. Experience the joys of an above ground pool for less. Have you purchased an above ground pool but don't know how to install it? Trust a company with experience tackling all elements of pool construction. Because of our size and buying power, your local IPG Member can make a swimming pool, hot tub or spa purchase more affordable for you. Our professionals will work with you to ensure that you can have the product you want. Contact your local IPG member today for a free estimate, and to start the process of building your dream! Let us be your source for all your swimming pool supplies in Canada. IPG Canada has spent over 25 years working hard to be a leader in the Canadian Swimming Pool, Hot Tub & Spa Industry. Since 1986, IPG Canada has been offering quality swimming pool supplies, services and knowledge to consumers. IPG Canada products can be found in over 60+ member retail stores spread out across the country. Our members are there to help you create and experience peaceful, relaxing swimming pool and hot tub retreats in your very own home or backyard. Whether in swimming pools, hot tubs, spas outdoor décor or accessories, IPG Canada prides itself in the variety and quality of products it offers to the public. We have worked very hard at gaining and maintaining relationships with our members and suppliers alike. This ensures the best products and services are available for all our customers. We are here to help please email us with any questions or concerns you may have and we will be happy to help you. We specialize in pools, spas, hot tubs, and barbecues. Let us help you achieve the backyard of your dreams! The largest pool and spa company in Cornwall and surrounding area of SD&G. We have the most reliable water testing lab and the #1 pool and spa brand of chemicals. Our spas are Canadian made and are given the highest rating in the industry which means more relaxing and less worrying. No matter the budget we have a pool for you and your family to enjoy for countless summers. Then sit back and relax on your new patio or lounge set that will give you years of enjoyment under the sun. If problems do arise our friendly and helpful service technicians are there to help you get back to relaxing in your spa or splashing in the pool. Looking to create a games room? Come and see our selection of Billiard Tables, Dart Boards, and Ping Pong Tables that will keep the whole family connected and having fun. If fitness and self-improvement is what you strive for and you don't have time to go to the gym or don't want to pay the high membership fees our vast range of fitness equipment from treadmills, weights and training machines will help you push through your plateau and achieve the level health you want. It’s important that you do some research before visiting a local Ottawa spa and hot tub dealer. While they can give you lots of information about features and financing, you should have an idea of where you would like to position your spa and what its main function will be. Do you plan to use it mostly for relaxation or socialization? How many people will be using it? All of these things will help the hot tub dealer pick the best models for you. Decide who will be responsible for daily maintenance in your household and if the extra energy costs are something you’re actually willing to incur. Also, know that most hot tub stores in Ottawa, ON let you do test soaks, also known as a “wet test”, where you can throw on your suit and take each model for a spin in the showroom so you know exactly how they feel before purchasing. Don’t be shy — just think of it as test driving a car! 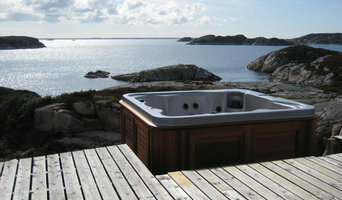 Find spa and hot tub dealers in Ottawa, ON on Houzz. Narrow your search in the Professionals section of the website to hot tub and spa dealers in Ottawa, ON. You may also look through photos to find hot tub designs you like, and ask about the details of the spa, including the manufacturer and where it was was purchased.